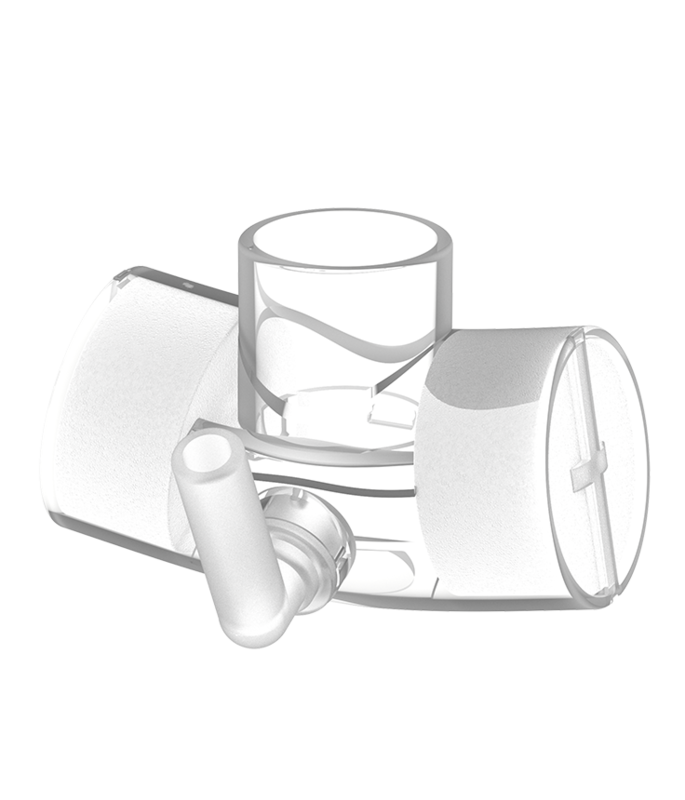 Heat Moisture Exchanger (HME) for spontaneously breathing patients fitted with a tracheostomy tube. 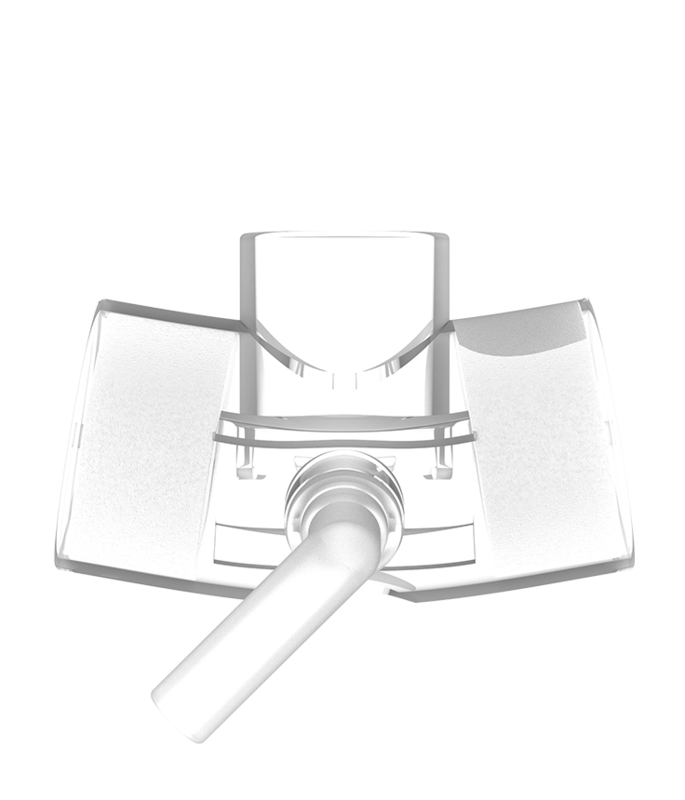 The airway can be cleared by inserting a suction catheter through the integrated self-sealing suction port. 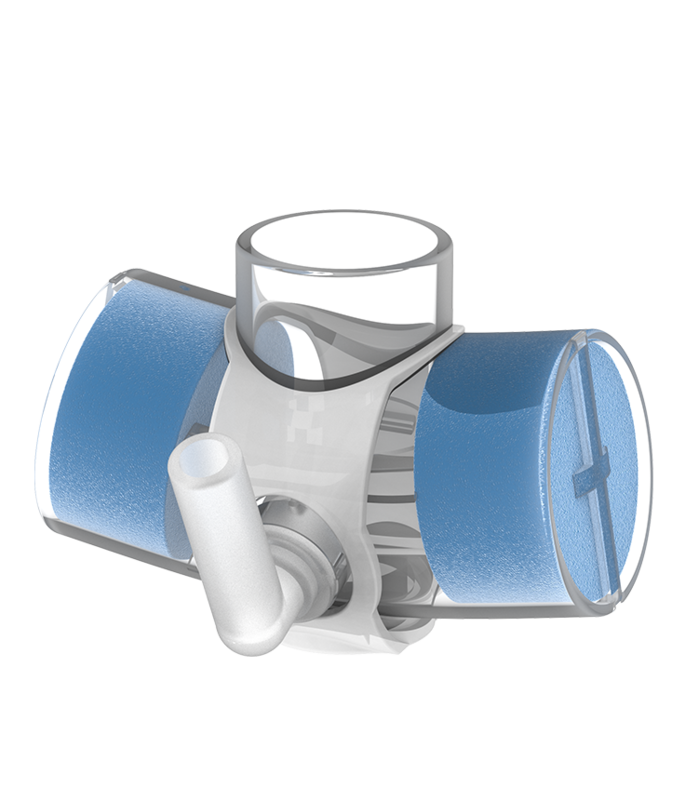 The port also acts as a vent that can open during vigorous coughing to allow thick mucosal secretions to be expelled, avoiding blocking of the airway. 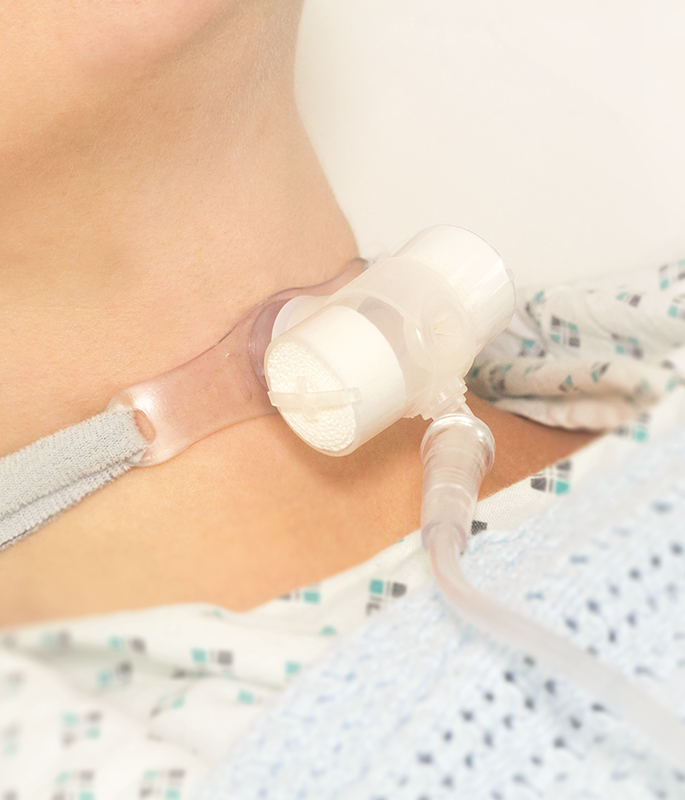 Supplementary oxygen can be provided by attachment to the ThermoTrach swivel oxygen connector which can be angled to the most convenient and comfortable position, reducing the risk of disconnection, kinking and drag against the patient. The white colour HME media makes it easy for carers to see any contamination of the media and change before a problem arises. Clear housing permits visual examination for potential occlusion or accumulation of secretions which could block the airway. The oxygen flows through the HME to be warmed and humidified before reaching the patient.